We're doing a charity auction with HoffArmy with the proceeds going to Wheels for Humanity, and have some donated Knight Rider items that some of you might be interested in - including a German card game. i posted this a long time ago. it's been a few months now..
Taoworm was the nicest guy truly loved the show and we will miss him dearly. RIP friend. So Justin bruening is going to be a new paramedic in Greys. First William Daniels, now him! David will also be on the wendy williams show on wednesday.. the show is syndicated so check local listings. will normally find it on your local myNetworkTV affiliate. yeah he's apparently this amazing surgeon. 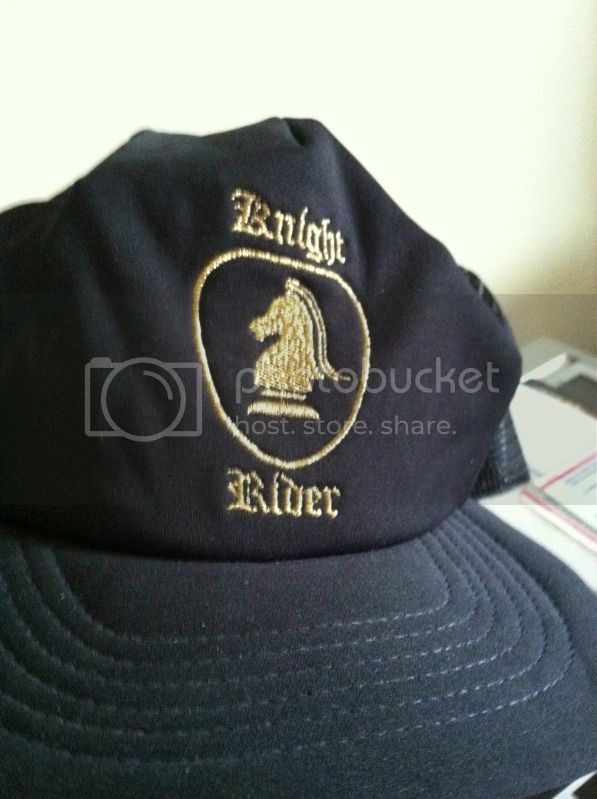 i dont remember what my first piece of knight rider merch was, but this was definitely one of them..
Topic: What happened to the KR Reunion thread? Re: What happened to the KR Reunion thread? well it was way too expensive for me to attend. Topic: Knight Rider back on TV! Knight Rider back on TV! G4 has picked up knight rider starting monday! it will air at 11am, noon, 3am, and 4am EST. season premiere time! william daniels is back in the first episode of grey's anatomy this season. Topic: Hasselhoff on "Trust Us With Your Life"
Re: Hasselhoff on "Trust Us With Your Life"
yeah, whose line was a lot funnier. but it's still entertaining. there are some more clips here if you missed seeing the show and dont want to pay for hulu plus. Topic: David Hasselhoff turns 60 today! Re: David Hasselhoff turns 60 today! weird to think that you were just 45 when i started my website..
hey guys. i uploaded some knight rider videos too. but i got a fantastic comment from bob bralver that i wanted to share on the video..
Michael Pajaro wrote: I'll be there, either night works for me! william daniels is on this episode of grey's anatomy! he plays a doctor giving christina her boards. the exam thingy. Topic: Is the original KITT coming to the festival ? Re: Is the original KITT coming to the festival ? oh man, i wish i could go. i might not be able to afford it. ah thanks for that reply joe. I don't know, but I can email him and ask if he's bringing it again.